Most people love “firsts”. The first time we experience something new. The first time we meet that special someone. Our first kiss. First job. First day of school. First date (okay, well maybe not this one). There are things to come in my life (which I will be announcing soon) that will be brand new to me. So, as I look forward to a 2011 filled with newness and never-before-experienced events, here are a few of my Favorite (First) Things. First big purchase. As a kid, did you ever save up every penny, just so you could buy that totally nifty, super cool gadget or toy that you just had to have? My first big save up purchase was a pair of roller skates. I was sure that my life would feel complete once I had those skates. Little did I know that I would later break an arm on said skates. First album. I remember the year my parents bought me my very own record player and one album to go with it–Michael Jackson’s Thriller. It is still one of my favorite albums of all time. First kiss. I remember my first kiss. I was waaaaay tooo young. It was at a birthday party, in the backyard, while the parents weren’t looking. I hated it. Everyone watched us. But, my first kiss with my husband was picture perfect–in a kitchen, with candles burning, and John Coltrane playing in the background. A great first. First baby. I did not feel ready to be a mom when I had my daughter. I stared at her and could not believe she belonged to me. And what the heck was I suppose to do with her? I will forever have the memories of my first baby girl, burned into my brain. I became a woman and she helped me along. First real job. My first “real” job–you know, a job job–was one with a salary and benefits and business dress required, in which I worked for the Alliance Defense Fund. I was a “Development Representative.” I admire that organization so much for the work they do in the Lord’s name. I felt like a grown-up working there and I learned so much about our culture. First time God spoke to me. I’m sure He had spoken to me before, but this particular time was the first time I heard Him in an audible voice (and no, that is not an ongoing occurrence). He told me not to go to a friend’s house. I went anyway. Oh, I still regret this epically stupid move. On my way home, I totaled my car when a woman ran a red light in front of me. It was my 18th birthday. First time I learned about my spiritual gift. I am of the belief that we all receive a spiritual gift (a post soon to come). I remember when I discovered mine. I was in my now driveway and my soon-to-be-mother-in-law had helped me uncover the answer. I suddenly saw things in a whole new light. My spiritual goggles were placed on my face, so to speak, and things became clear. What are some of your favorite firsts? First kiss? First memory? First love? First kiss? Very unmemorable, down a corridor at a school disco, too young. First memory? Age about 4 or 5 I guess, I’d just got my first proper bed. It was much bigger than me, and the first night I couldn’t climb up into it. I took a few steps back, ran at it and still failed to jump in. I ran from my door, again from the corridor, and finally from the top of the stairs, along the corridor, across my room and UP into my bed! First big purchase. I remember the LEGO monorail set I bought. It ran on the track without you doing anything. It cost $180. I carried that box through Toys’R’Us with pride. Every year, we placed that around our Christmas tree up until my late teens. It was a good buy. First kiss. Mine was sloppy, with a girl who was inches taller than me. Weird. But like you said, OURS was a great first kiss. First baby. Ah, the memories. That first time I laid eyes on our daughter was a beautiful moment I will never forget. First real job. I started working for a marketing agency. I had started just after the Thanksgiving holiday. I remember expecting that I hadn’t made the first pay period, but I had been paid one day for the pay period that was just ending. When I got that check, and saw how much I was paid for a single day’s work, I was so excited. I had made it big time! First time God spoke to me. Honestly, I can’t remember this. Fortunately, I grew up in a home which encouraged listening to the Holy Spirit so this was not an odd or rare occurrence. Other FIRSTS I loved–our first date (or shall I say, interview), first time making love (yeah, I said it; the honeymoon rocked! ), first time traveling internationally, first car accident, my first business venture, first customer, my first bank account, and many more. Here’s to 2011’s firsts! I have had a lot of bad firsts too. I try not to focus on them though. If God has forgotten them, well then so can I.
I love the first you listed! May you always hold onto that memory. Our God is amazing. My first kiss … will be the dawn of each new day, that the Lord greets me with his sunrise red and pink and purple coming up over the treetops. A new day for me, to experience joy and love and warmth and HIM, and myself. First big purchase … the soft-as-a-cloud egyptian cotton bedding I bought JUST for me, with no man in mind. It’s like sleeping in a pillow cocoon of dreamy soft cotton. And, it’s baby pink, my favorite color!! Album …. making a PHOTO album of all the fun experiences I am going to do alone and with my children this year, not afraid to try new things. First baby … well, all my babies are significant and can’t be erased from the past. But, the new baby this year is me. I’m going to, for the first time in my life, spend this year on me. Working out, eating right, thinking positive, finding my own joy. I’ve been a mother since I was 18 yrs old, and have spent so much of my time in taking care of others, I’ve neglected myself. My children are 11,8, 5 and 3 now, and they can give me a tiny amount of time for myself. First time God spoke to me …. I should probably open my ears because, not yet. 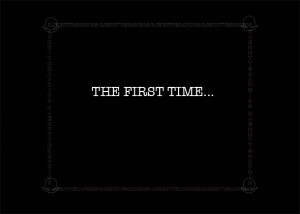 Firsts …. I have so many to come. Previous Previous post: Date for Jesus?